Gdańsk's biggest and most popular shopping gallery can be found in the district of Wrzeszcz at the junction of the main Tri-city road (al. Grunwaldzka) and the main road to the airport (ul. Słowackiego). You’ll find over 200 stores, boutiques, cafes and restaurants set in a state of the art building with headline stores including a three-level H&M, Peek & Cloppenburg, Tommy Hilfiger and Zara. Carrefour provide the supermarket while GB has the best food court in the city. There’s also on-site parking for 1,100 cars. 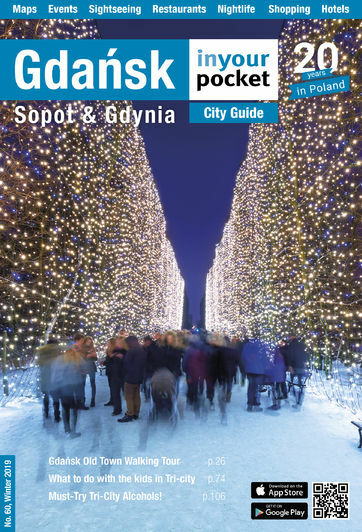 The mall is opposite Gdańsk-Wrzeszcz train station and can also be reached by trams 5, 6, 9, 11 and 12 from Gdańsk city centre while Neptun taxis charge approximately 30zł one-way. Find KFC, McDs, Burger King, North Fish, a Shrimp Shack and a good Asian option in the food court as well as a Pizza Hut restaurant downstairs. It was a fine shopping experience with something for everyone. The foods, bookstore, shops, supermarket and even parking were excellent. We went to visit then found ourselves going back regularly because we could find the things we wanted. It is also very attractive.